The case, in stainless steel, measures 38mm x 10.7mm. It has double sapphire crystals and it is water resistant to 50 meters. The crown is set with a diamond. 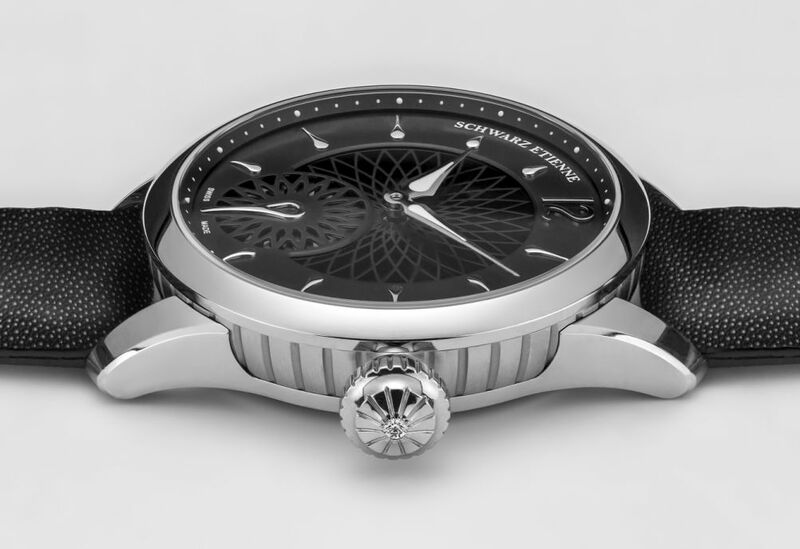 The case is constructed in three parts, including bezel, caseband and caseback, forming a capsule that is mounted with a separate cradle that incorporates the lugs. Movement is the Swiss automatic S.E. 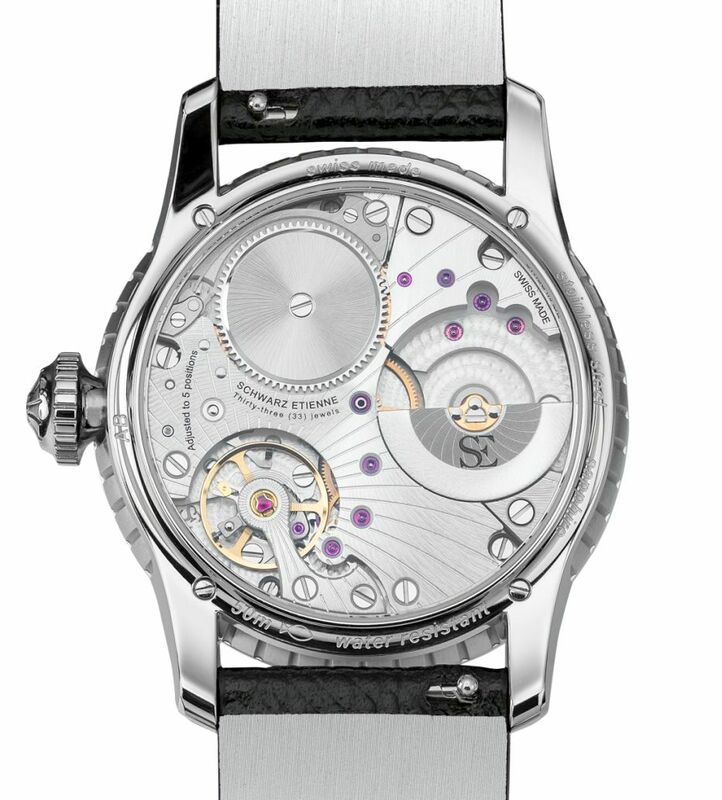 in-house caliber ASE 200.00 with 33 jewels, 21,600 vph and a power reserve of 86 hours. In-house hairspring. 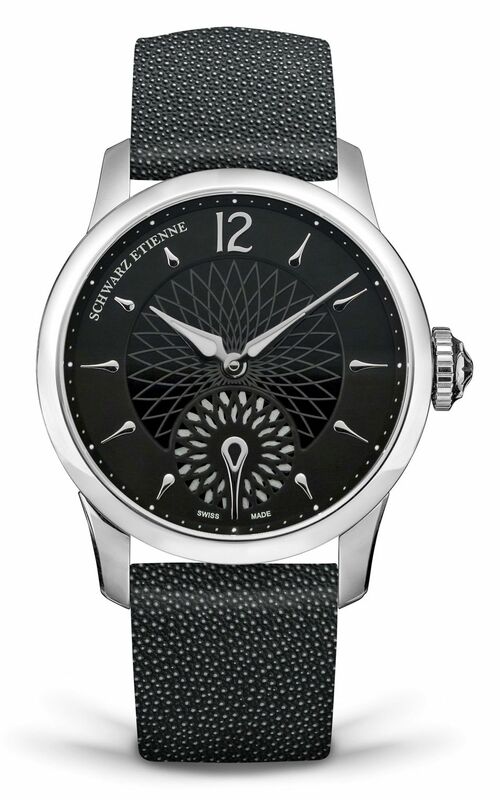 It is adjusted to five positions and features a micro-rotor, sunray pattern on bridges and guilloché motif on the balance bridge. Functions are: hours, minutes, and an animated floral motif seconds disc. The brass dial comes in black or salmon with silver colored drop shape indeces and blued hands with rhodium treatment and SuperLuminova. 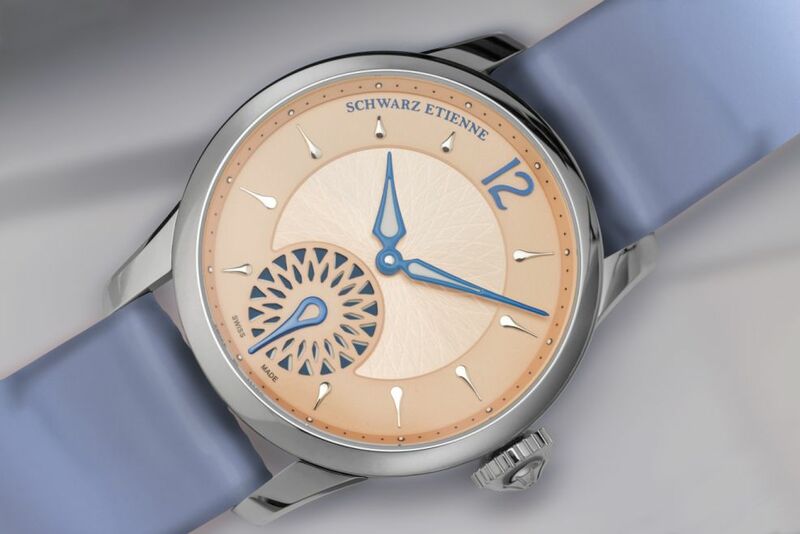 The small seconds subdial at 6 o'clock is designed as an openworked lattice that rests above a rotating disc. 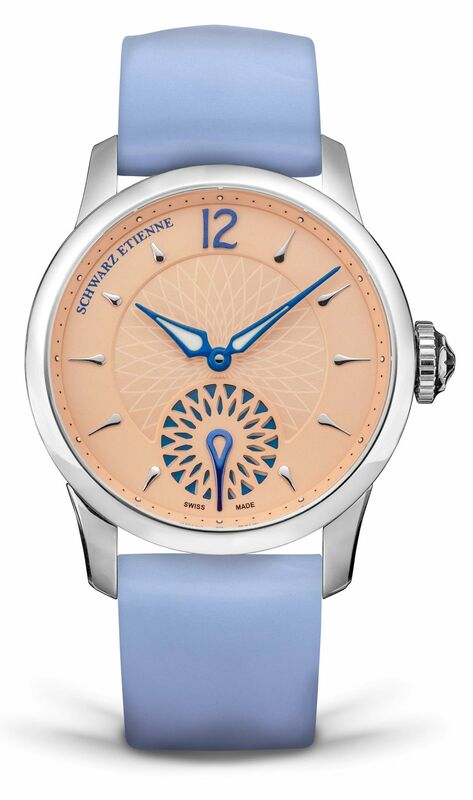 It comes with two straps per version: black dial with black and a ruby-colored leather straps with silver-grey lining; and the salmon dial version with a light blue and a brown leather straps with silver-grey lining, both with steel folding buckles.